Less than two months from my release date, I was maliciously scapegoated for my actions in reporting a continual, inhumane practice of Central Maryland Correctional Facility (CMCF). CMCF is a supermax camp that houses minimum and pre-release security inmates under Maryland's Department of Public Safety and Correctional Services (DPSCS, formerly DOC). As you may imagine, there isn't much effort put forth by convicts to struggle (peacefully or otherwise) against administrative injustices, due to short release dates and the strict guidelines of the residential substance abuse program (RSAT), which half of the jail is binded by. For the vast majority of those assigned to RSAT by case management, it is mandatory under DPSCS policy that they complete the program or they receive a notice of infraction (ticket) in which all good days given to you at the beginning of your bid may be taken if found guilty. Needless to say, I'm hoping I can dodge that ticket somehow. But with the aforementioned in mind, you can understand the lack of political involvement at CMCF. CMCF is a dorm setting and down in the RSAT building the bunk area is separated from everything (bathroom, TV, microwave, etc.). During count time the Correctional Officers (COs) are supposed to keep the doors locked only until they are finished counting the other side and then return to open the doors so prisoners can utilize the bathroom, two at a time. Most prisoners are frustrated by this "supermax-like" procedure of a pre-release camp because they were of the belief that the closer to getting home that you are, the easier your bid got. Getting to the issue, every now and then a CO will leave the doors locked for excessive time, consequently forcing us to hold our bladder and bowels. When a legitimate situation arose, I felt it was imperative for someone to take up the vanguard so we could do some agitating of our own. 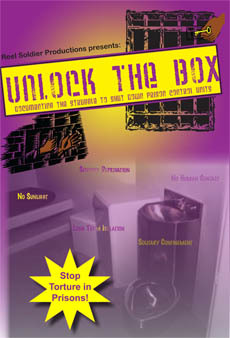 This particular instance, the doors were locked for an hour and a half (no exaggeration), leaving some to piss in cups, while the officer bullshitted and remained in the bubble acting oblivious to the kicks on the doors and prisoners pressing the buttons that lets them know that someone needs to get out. A strong Black brother from the FOI (Fruit of Islam), me, and two other conscious brothers struggling to ameliorate the Black man's plight, encouraged our dorm mates to write it up so administration would know that we are sick and tired. Twenty five out of a dorm of 61 people filing grievances for the same reasons is abnormal to say the least, for that jail. As a result of this protest I have been placed on Administrative Segregation pending adjustment (hearing) for four charges (most serious to least): engaging in a disruptive act, interfering with officer's duties, coercions, and forging documents. They alleged that I forced people to sign some grievances, signed others myself, and intimidated ALL participants with my STG status (I am validated as Blood). They needed what seems like a feasible explanation to dismiss the grievances filed - thus scapegoating the "intimidating, coercing, Blood member who had a vendetta against Officer D. Brown." But this route wasn't taken until after the THIRD attempt to get inmates to withdraw complaints using their usual bribery and manipulative tactics: promises of yard every night in exchange for signing off, saying the grievances wouldn't accomplish anything, etc. There are lessons to be learned in every situation, this in particular being, not giving administration an easy target, as a conscious brother warned me of just before I got this ticket. For those who wanted to contribute but just didn't know how to write the complaint or were just too lazy, I wrote their grievances for them, all the exact same way that I wrote mine - this was a crucial mistake. I also spoke out more than others when administration came to convince us to withdraw our complaints - another vital mistake, giving them an easy target again. If found guilty of this ticket I face 180 days lockup, 246 days loss of good time, a year loss of visits and my security going to medium. Whatever the outcome, I will be seeking justice! MIM(Prisons) adds: This story of punishment for filing grievances is echoed across the United $nakes prison system. And it is one of the reasons prisoners have initiated a campaign to demand grievances be addressed in many states. We have petitions that prisoners can use to fight the denial of grievances, though Maryland is one state where we still need someone to customize the petition for use. These campaigns are important for two reasons: first, they give prisoners a way to fight back against unjust denial of grievances and demand the prison respect their rights, and second, they provide an educational opportunity for prison activists. 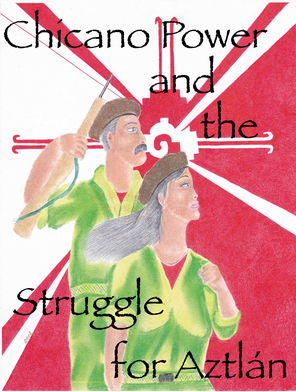 As a common battle faced by all prisoners, the struggle to get grievances heard can be used to unite many for a common battle, while educating all about the limitations of our struggle within the system and the need for an anti-imperialist movement for long-term and systemic changes. Write to MIM(Prisons) for a copy of the grievance petition for your state, or if one does not exist volunteer to customize the petition from another state to be used there.